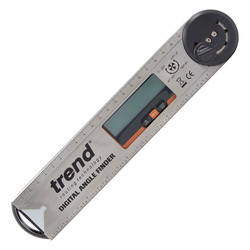 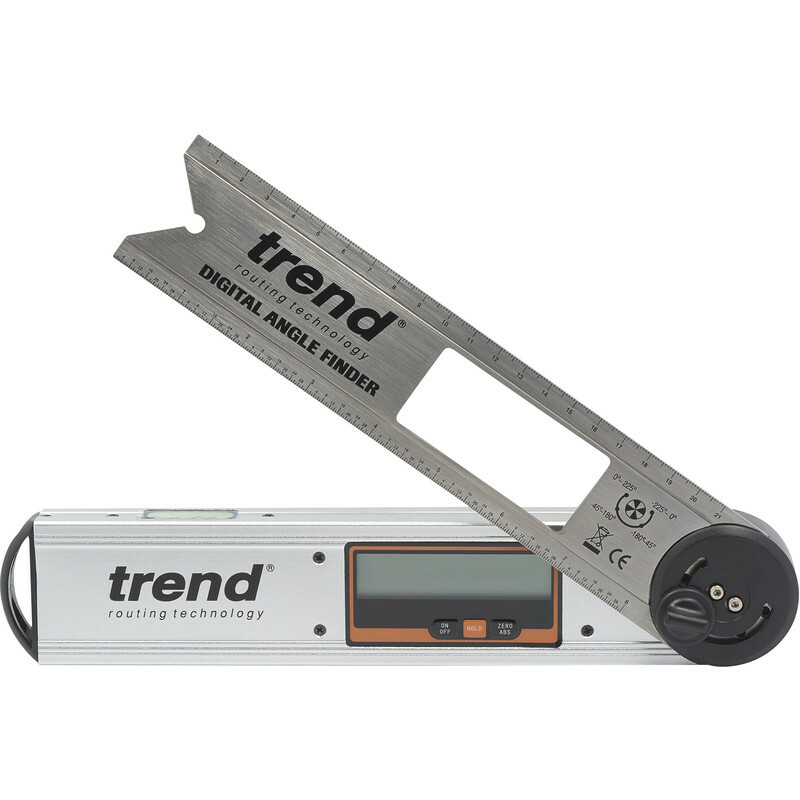 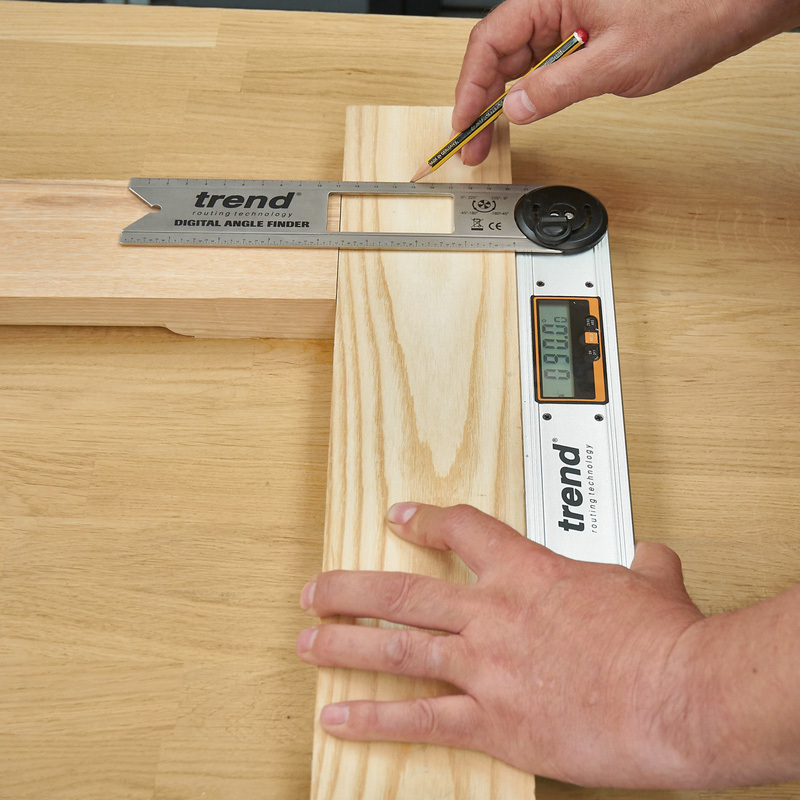 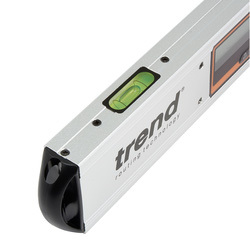 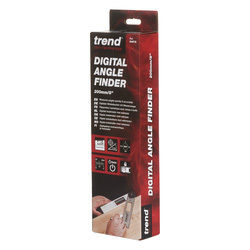 Trend Digital Angle Finder 200mm / 8"
Digital Angle Finder with level vial. Large clear LCD display for easy reading of angles. Robust but lightweight aluminium construction. Dual metric/imperial scale on folding metal blade 50mm wide. 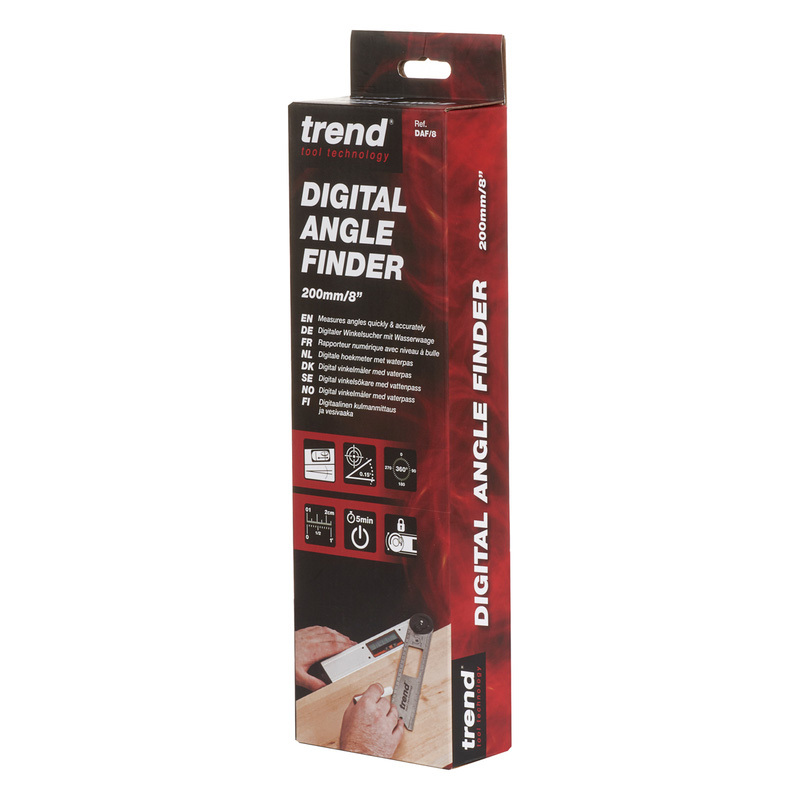 For use on internal and external angles. 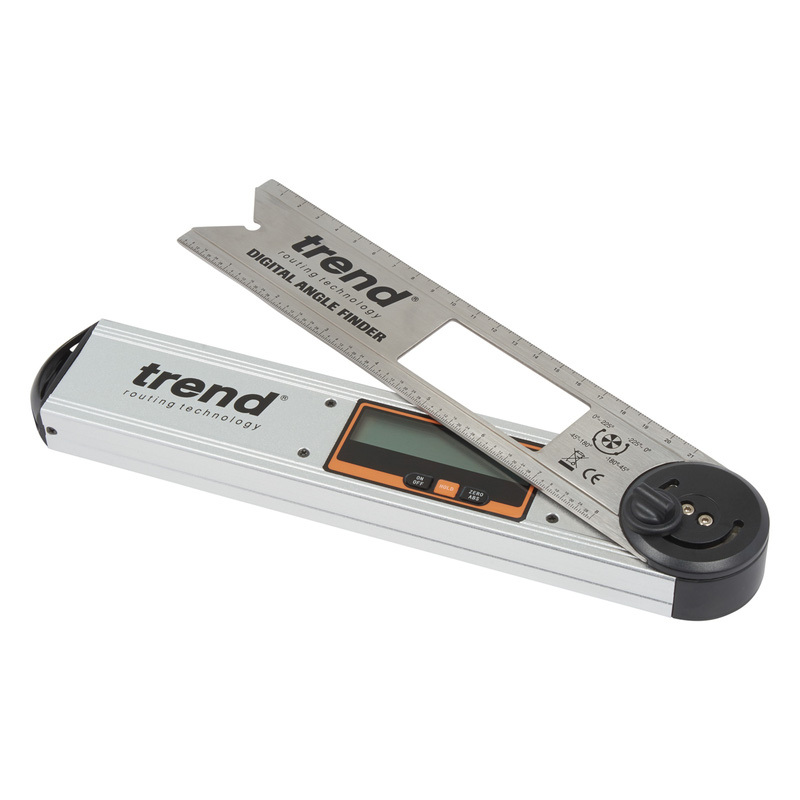 Easy operation with three buttons on/off, hold and zero/ABS. 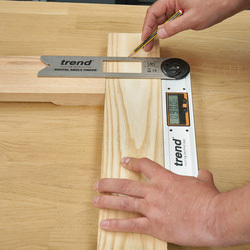 Calculates angles for 0-220 degrees (up to 360 when locking knob removed).